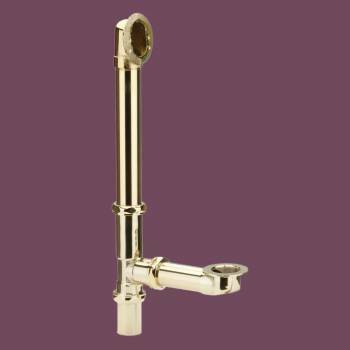 Chrome-plated Brass Lift & Turn Drain, Overflow Plate and Exposed Pipe. 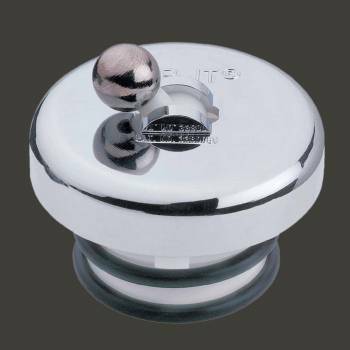 Chrome-plated brass finish means this item is virtually tarnish free for years to come. 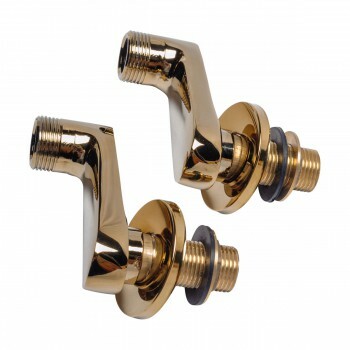 Brass PVD Tub Wall Supply Line Coupler Pair, PVD Physical Vapor Deposition means that the finish will remain looking new for many years to come. Swing arms allow you to adjust center to center spreads from 2 1/4 inches to 11 inches center to center. 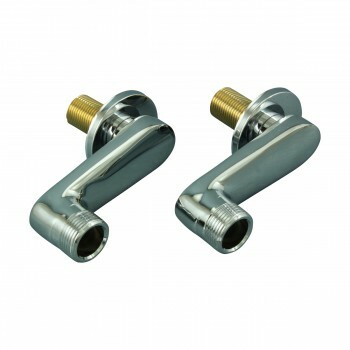 Includes coupler pair, rubber gasket, washer and 2 inch flange. Male thread to supply is a standard 1/2 in. 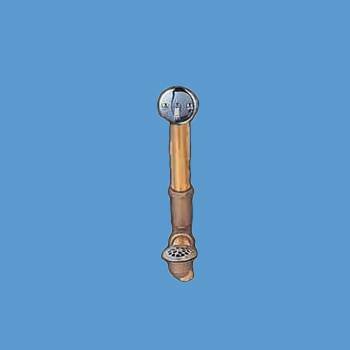 Male thread to faucet is a standard 3/4 in. NOTE: For inside tub wall installation ONLY. 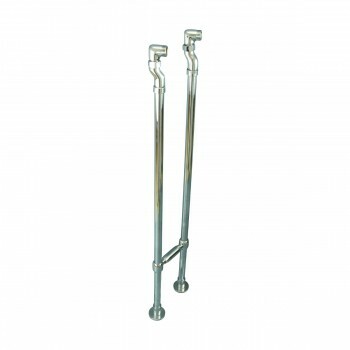 Chrome plated solid brass. 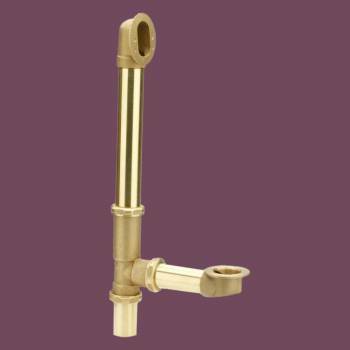 These deck mount supply lines are made to fit faucet numbers 13604, 13606, 13608, & 13610. Adjust to fit center to center spreads from 5 1/4 inches to 6 1/2 inches. Flip it stopper keeps the water in your tub! 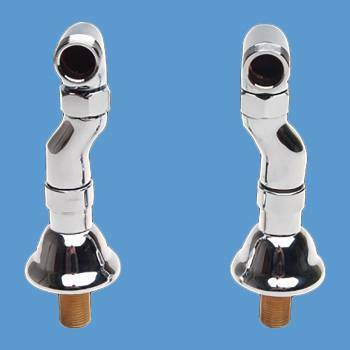 Fits drains 1 3/8" - 1 5/8". No tools needed. Chrome finish. 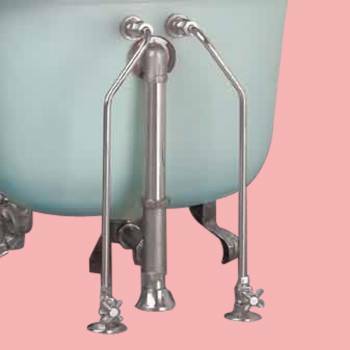 PVD Bath Deck Supply Line. 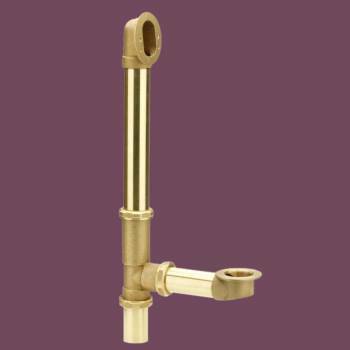 Item 11968 PVD Bath Deck Supply Line. Measures 8 inches long. 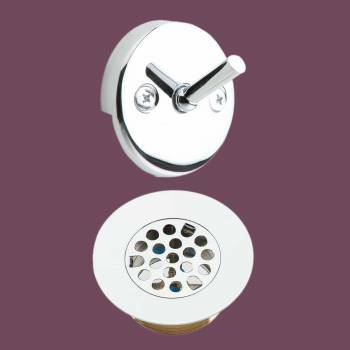 Lift & Turn Drain and Overflow Plate: Brass construction with chrome-plated finish. 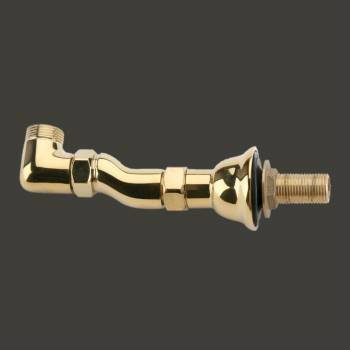 Superior brass quality at low prices! 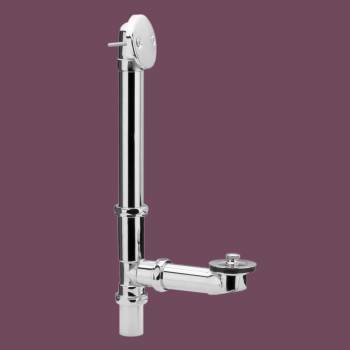 Filter Drain & Trip Lever Overflow Plate. 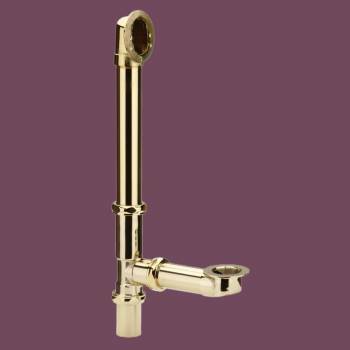 Brass construction with chrome-plated finish. Superior quality at low prices. 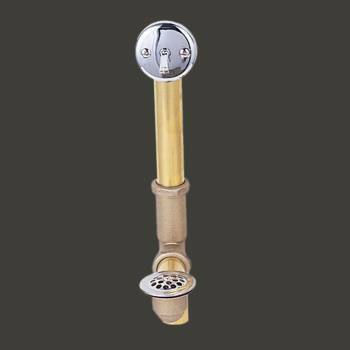 Modern Drain and Overflow has a 1 1/2" diameter brass pipe with modern level control. 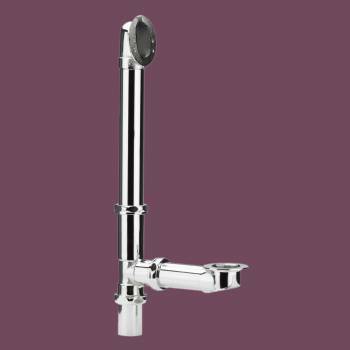 Modern lever for concealed installations. Chrome finish. 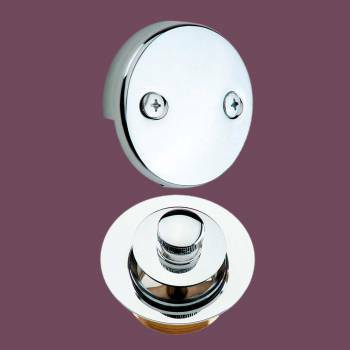 Chrome plated solid brass. 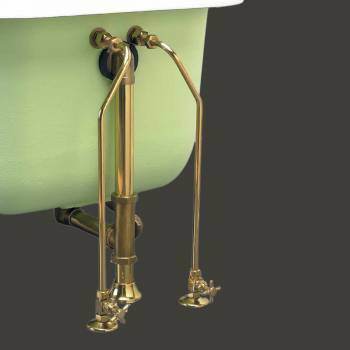 These floor mount supply lines are made to fit faucet numbers 13604, 13606, 13608, & 13610. Adjust to center to center spreads from 6 to 6 1/2 inches center to center when used with cross piece, 5 to 7 1/4 inches with out cross piece.